The 1979 revolution that deposed the Iranian Shah led to a significant decline in women’s rights. The revolution itself came about as a reaction to the economic havoc of Westernization and globalization, which impacted all but the most affluent members of Iranian society. 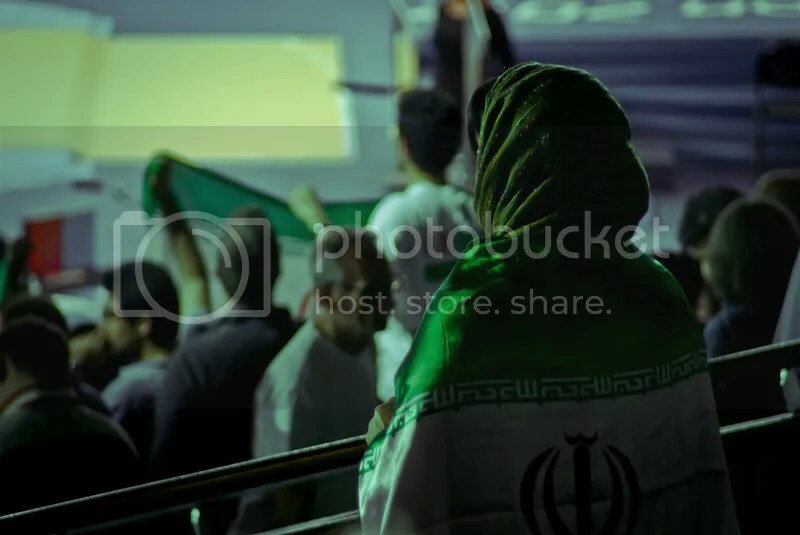 Even though women played a major role in the success of the revolution, under the new rule of the fundamentalist Islamists, they lost many rights that they once held in the previous regime. Women now face striking inequalities in many aspects of life. Previous efforts to remedy these inequalities attempted to address Iran’s legal system and resulted in failures. Rather than bringing about reform through the direct changing of Iran’s legal system, reform should be conducted on a grassroots level. Specifically, NGOs (non-government organizations) such as Amnesty International should work together with local organizations to change gender perceptions in society, which would then lead to empowerment of women from the bottom up. Once Khomeini came to power, his original stance of representing all that opposed the Shah changed to representing only those who supported his own religious conservative stance. The Islamic Republic interpreted women’s roles more conservatively and excluded them from the political and social spheres, despite the fact that support from women allowed the regime to come into power in the first place. Most women’s groups were shut down, except for those following the strict religious rules of Ayatollah Khomeini. The constitution of this new regime outlined women’s primary roles as mothers and emphasized that their main place was in the home. As a consequence, the regime overturned the progressive reforms made by the Shah’s regime. The fundamentalist interpretation of Islam is the rule of the country now. Though women played an instrumental role in the 1979 revolution, what gains they made during the Shah’s rule disappeared with the founding of the Islamic Republic. The religious fundamentalism that spread after the 1979 revolution plays a key role in undermining the status of women. Just prior to the revolution, Iran saw a heavy influx of both Western culture and programs, which elicited a strong surge of support for fundamentalist Islam. Those unhappy with Western influence viewed Islam as “pure, nationalist and anti-imperialist” and as a means of creating boundaries against the West’s influence. A lack of civil institutions catering to women coupled with fundamental Islamic policies means that women face discrimination in all walks of life. For one, women face significant disadvantages in their relationships with men. Those subject to domestic violence are without any legal protection.The Ministry of Interior’s nationwide survey in 2004 revealed that more than half of the women surveyed were victims of psychological, physical, sexual and financial abuse by their husbands. Iranian law gives men complete autonomy over sexual relations with their wives. As a consequence many cases of sexual abuse go unreported. In addition to the lack of legal protection from abuse, women also do not have the freedom to govern their marriages. Men can marry up to four “permanent wives” and as many “temporary” wives as they please, but adult women must obtain permission from their fathers or paternal grandfathers to marry. Women must obey and submit to their husbands in all matters. Even benign actions such as leaving the house require permission from their husbands. Men can divorce their wives at any point for any reason, while women can only divorce if they prove that their living environment is unbearable. Reasonable evidence of this claim includes having a husband who is addicted to alcohol or drugs, or one who is physically abusive. However, Iran’s highly patriarchal judicial system can make the divorce process for women exceedingly difficult, even with the presentation of legitimate excuses. In the rare case that a divorce is obtained, the husband almost always receives custody of the children. This practice further dissuades women from divorce.Even if her husband dies, women do not receive custody of their children. Instead, the paternal grandfather makes all the decisions for the children’s affairs in the event of the husband’s death. Romantic life prior to marriage is equally stifling. It is quite common for women to be forced into an arranged marriage against their own will. Iranian law states that the legal age of marriage for girls is 13, but if a father or grandfather obtains permission from a court, then marriage at a younger age is permissible. More recently, legislation introduced in 2012 attempted to lower the legal age of marriage for girls to nine due to the belief that girls mature and reach puberty by that age. The chairman of the Iranian Parliament’s Legal Affairs Committee defended the legislation by asserting that any complaints about the proposed age of marriage contradict and challenge Islamic Sharia law. Fundamentalist Islam also lends credence to laws that dictate how women should behave in public. Among the most well known are restrictions on public appearance. Veiling became mandatory in 1981 and is enforced by police patrols in public areas. Women found violating the dress code face physical assault, detention for 10-60 days or a cash fine. From the standpoint of fundamental Islamists, women represent sexual seduction and sin, and must dress modestly to prevent them from tainting society’s morality. They must cover their head, except for their face, and their body, except for their hands and feet. The government even places restrictions on what types of photos of women can be published in newspapers and magazines. The Justice Department shut down the publication Khaneh for, among multiple reasons, including an “obscene” picture of women playing soccer. Education is another area in which women face more challenges than men. This is especially true in regards to university education. In the past, gender neutral national tests meant that more women were admitted into universities. But gender quotas and segregation have since reduced their numbers. In 2011, the percent of admitted female students fell from 60 percent to 48.7 percent from the previous year. Another disparity came to light when 36 universities in the country forbade women from enrolling in 77 subjects. Even after attending college, long seen as a step-up in society, women still experience unequal access to jobs. After the revolution, they were banned from certain professions such as law and engineering. Many lost prestigious positions or became highly uncomfortable if they kept them. With no laws protecting them, women face workplace discrimination such as lower pay. The Center for Women’s Participation in Iran reported that women’s employment comprised of only 11 percent of the national income in 2003. Such irregularities in female employment and other areas are directly attributed to the fundamentalist nature of the current regime. Women cannot simply be educated and placed in the workforce to change the gender perceptions in Iran. Literacy rates among women aged 10-14 have risen from 48 percent to 92 percent while workplace entry has also increased. However, these improvements do not really empower women because most are still under the authority of their father or husband. The Iranian culture has distinct gender roles that stem from the traditional beliefs of male and female dynamics, which creates an inherent fear of placing women in positions of power. These perceptions have been ingrained since childhood and perpetuate the culture of inequality. Gender inequality can only be addressed by changing the long-held perceptions of women’s place in society. Previous attempts at changing the legal status of women or removing fundamentalist Islamic leaders are not effective means of addressing gender inequality. An example of a failed attempt at legal change was when Mohammad Khatami won the presidential election in 1997 with the promise of creating a liberal Islamic democracy. He vowed to end many oppressive practices put in place by the Islamic regime and aimed for the “rule of law, political toleration and a civil society.”  Khatami failed to deliver on his promises though. In April 2000, many prominent Iranian intellectuals, women and journalists travelled to a conference in Berlin to discuss future reform in Iran. Upon their return to Iran, the government arrested and tried many of them for allegedly planning treasonous activities. In March 2001, authorities shut down the Iran Freedom Movement, the sole opposition group tolerated by the regime. The government charged twenty-one of its members with conspiring to overthrow the government and placed them in detention. Khatami’s attempts at legal change failed to supplant traditional societal norms and continued the rigid practices of his predecessors. Therefore, change must happen in realms deeper than the superficial legal realm. Enabling contact among different women’s groups is a key aspect for successful reform. Since the government can easily shut down one group, groups must find resilience strength via unity with other groups. Contact between groups creates a means of providing information on current problems facing women activists and their supporters. As mentioned earlier, change can only come from altering traditional perceptions of gender, so efforts must be directed towards children and those who have not already formed their thoughts about gender. Local grassroots organizations can encourage parents to send their daughters to school while simultaneously going into classrooms to teach children about gender equality. These organizations can come together with moderates who advocate for a modern interpretation of Islam to teach children and their parents that equality for women is not anti-Islamist, and that gender equality will not lead to the economic disaster that prompted a religious revolution in the first place. With the backing and strength of an international NGO like Amnesty International, local grassroots can spread their messages throughout society and be more effective at resisting government crackdowns. Effort must be placed in changing children’s perceptions of gender because this will create a society, not just a few groups, who strive for gender equality. By changing gender perception, men will not feel threatened by women in power positions and a just society can flourish. Anticipated short-terms problems such as government attempts to shut down these local grassroots organizations can be overcome with the funding and resources of international NGOs. Consistent support from international NGOs will allow local groups to resist persecution, maintain connections and provide resources for those who advocate the message of gender equality. Eventually, these groups will have gained enough supporters for their movement to facilitate change. That is how the Iranian Revolution came about and that is how reform can come about as well. Gaining supporters requires effort, money and resources, which could all be provided by an influential international NGO. An anticipated long-term challenge will be keeping the issue alive among the people of Iran. Change will not happen overnight and the process will be long and tedious. Some supporters of gender equality may tire of fighting what seems like an everlasting battle and give up. That is why local organizations need economic and strategic support from an international NGO. The economic support will sustain these local groups and prevent them from fading out from a lack of resources and funding. Strategic support will teach these groups how to strategize and spread their message to the public, whether through media, pamphlets, schools or neighborhood events. This policy will be deemed a success once society’s perception of gender changes and all people, not just women and a few men, demand change in legislation. Once this policy of changing society’s gender perception succeeds, new policies can be created to effectively lobby the government to further improve the state of women in Iran. Khatami’s failure shows that society’s perception of gender must change before legal reform can occur, hence why this policy emphasizes changing Iranian society first, not Iranian laws. The Iranian Revolution in 1979 was a step back in terms of women’s rights in Iran. Women now face disadvantages in many aspects of life. It is an outrage and a tragedy that women are second-class citizens in the regime they helped establish. Local grassroots organizations can propel the women’s rights movement forward, but they need the assistance of a powerful international NGO such as Amnesty International to provide the funding and strategic instructions that can change gender perceptions in Iran. This policy recommendation departs from previous attempts at change by focusing on the social construct of gender, rather than lobbying for a legal change. An international NGO can help keep the issue of women’s rights alive, especially since this policy’s success cannot happen in a short period of time. Changing gendered perceptions within the Iranian society will eventually lead a legal reform that provides women with equality. 1. Ashraf, Ahmad, and Ali Banuazizi. “Iran’s Tortuous Path toward “Islamic Liberalism”” International Journal of Politics, Culture, and Society 15.2 (2001): 237-56.JSTOR. Web. 8. Feldman, Rayah, and Kate Clark. “Women, Religious Fundamentalism and Reproductive Rights.” Reproductive Health Matters 4.8 (1996): 12-20. JSTOR. Web. 14 May 2013. .
9. Farhi, Farideh. “Religious Intellectuals, the “Woman Question”, and the Struggle for the Creation of a Democratic Public Sphere in Iran.” International Journal of Politics, Culture, and Society 15.2 (2001): 315-39. JSTOR. Web. 5 May 2013..
12. DeJong, Jocelyn, Rana Jawad, Iman Mortagy, and Bonnie Shepard. “The Sexual and Reproductive Health of Young People in the Arab Countries and Iran.” Reproductive Health Matters 3.25 (2005): 49-59. JSTOR. Web. 14 May 2013..
13. Fargues, Philipe. “Women in Arab Countries: Challenging the Patriarchal System?”Reproductive Health Matters 13.25 (2005): 43-48. JSTOR. Web. 14 May 2013. .
14. Newburry, William, Liuba Y. Belkin, and Paradis Ansari. “Perceived Career Opportunities from Globalization: Globalization Capabilities and Attitudes towards Women in Iran and the US.” Journal of International Business Studies 39.5 (2008): 814-32.JSTOR. Web. 12 May 2013. .
15. Ashraf, Ahmad, and Ali Banuazizi. “Iran’s Tortuous Path toward “Islamic Liberalism”” International Journal of Politics, Culture, and Society 15.2 (2001): 237-56.JSTOR. Web. 12 May 2013. .
17. Helie, Anissa. “Women and Muslim Fundamentalism.” Economic and Political Weekly 28.45 (1993): 2454-456. JSTOR. Web. 13 May 2013.